Peter shares his expertise and passion for learning with educational institutions around the world. During this past academic year (2016/17), Peter facilitated over 60 presentations/seminars/institutes on student success, curriculum/program development, educational technology, and teaching and learning excellence at conferences and educational institutions around the world: University of California at Irvine, University of Queensland, University of Auckland, Georgia State University, University of Texas at Austin, University of Saskatchewan and many more. His most sought after seminar, “Enhancing Metacognition, Growth Mindset and Grit for Student Success,” focuses on his research: advanced learning models that support student success. Currently, Peter is the Senior Scholarly Teaching Fellow (February 2018 – July 2019) for BCCampus. During the spring of 2017 Peter was a Visiting Fellow at the Institute for Teaching and Learning Innovation at the University of Queensland where he consulted with many educational leaders, shared his expertise by facilitating seminars and conducted research on student success with one of their scholars. Peter’s expertise and passion also extends to instructional design and curriculum/program development. During 2016/17, Peter created an evidence-based process and led the development of a new degree program for an external Canadian Higher Education institution. Furthermore, Peter facilitates many course design workshops and institutes for educators. Additionally, Peter is a Professor of Teaching at the University British Columbia School of Education and the College of Graduate Studies (undergraduate: learning technology and assessment; graduate: instructional design; doctoral seminar: teaching and learning in higher education). From 2005 to December 2015, Dr. Peter Arthur was the Founding Director of the University of British Columbia Okanagan’s Centre for Teaching and Learning. 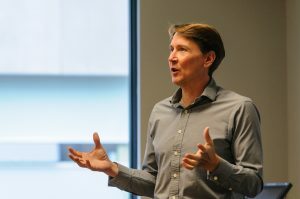 As Director Peter led a team dedicated to leading and supporting teaching and Learning excellence on the University of British Columbia Okanagan campus. Peter provided leadership and strategic direction with a particular focus on building an evidence-based teaching and learning culture. November 2017 Critical Thinking Initiative Podcast Interview, “Fostering Metacognition, Growth Mindset, and Grit.